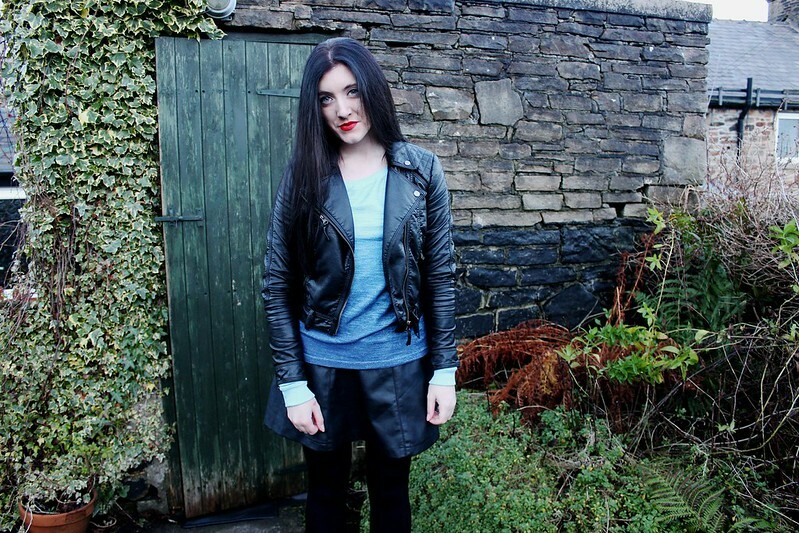 stacey joanne marie: What I Wore: Ombre Away! 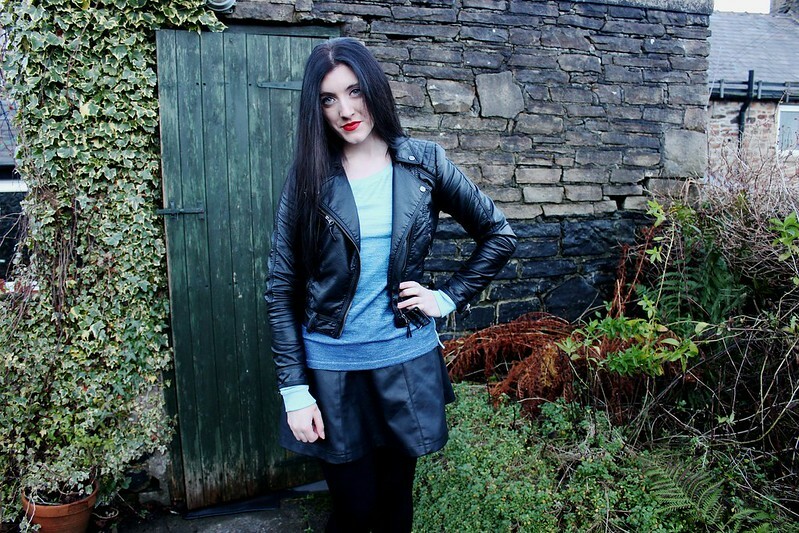 What I Wore: Ombre Away! 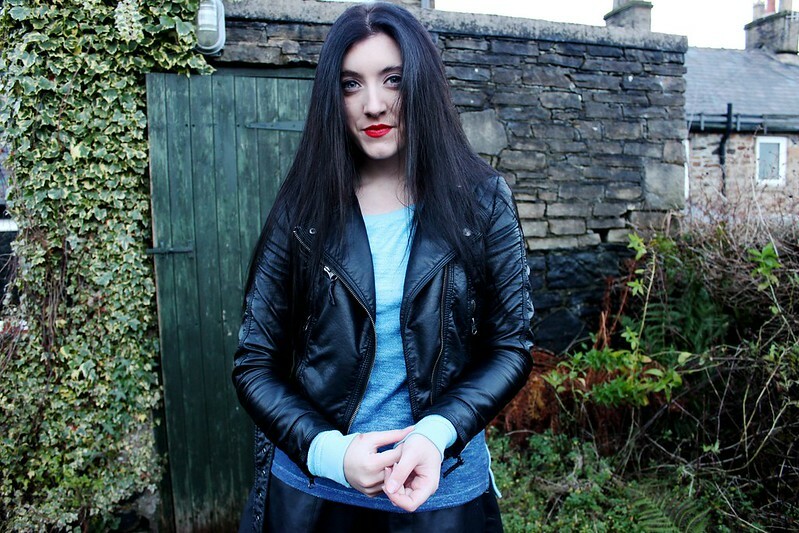 Ombre hair is a hot amongst the 'blogosphere' - if that's what it's called. Whilst I love it on other people, I've never really been brave enough to try it myself - I've had the same hair and style for as long as I can remember. I spotted this Ombre jumper whilst in Primark last week. It was available in three colours so naturally I picked up two. I was going to keep one and take the other back but when I saw they were only £3 each in the sale, I thought why not keep both! The other one is an orange which fades into a hot pink at the bottom, but I like this one just as much as I love blue and it's a colour that really pops. I think Primark is really hot on trends at the moment and is producing some really good stuff. There's been quite a few items from there that bloggers have gone crazy over - the Minnie Mouse Onesie, the studded clutch, the Fox slippers and the black bucket bag to name a few. 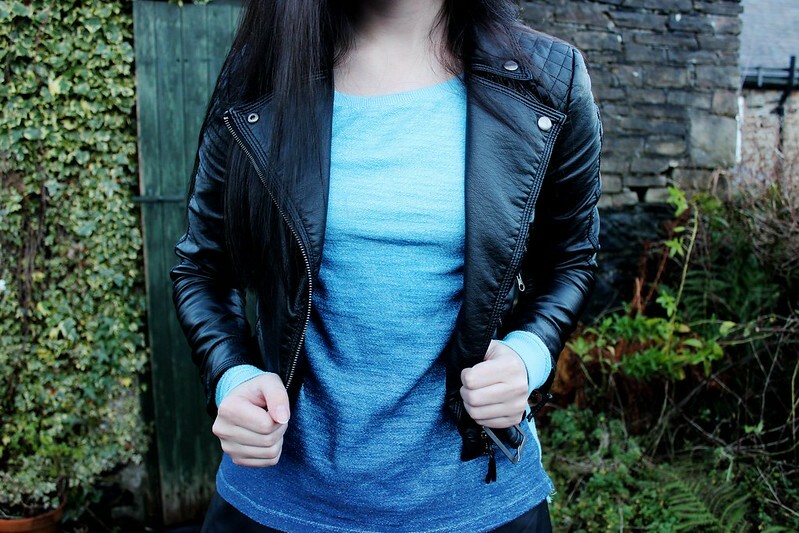 Have you picked up any Primark bargains recently?